5 Really Bad Trends I Totally Rocked! Growing up and potentially more recently than “growing up”, we can all think about some trends that we experimented with that we now wish we hadn’t. Unfortunately cameras have existed for ages and we all have less than awesome photos of past trends that we totally rocked. Here are a few of these unfortunate trends that I wore with pride. 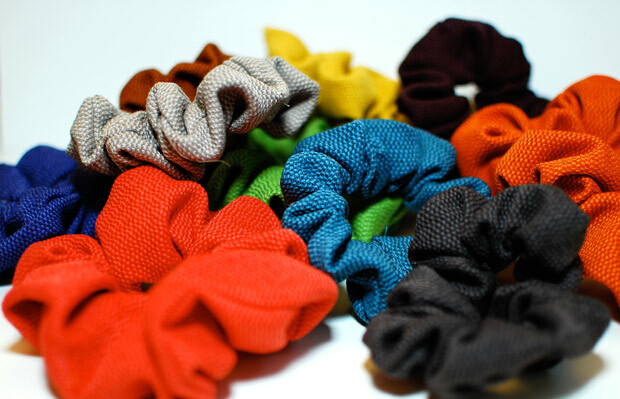 I was obsessed with scrunchies! 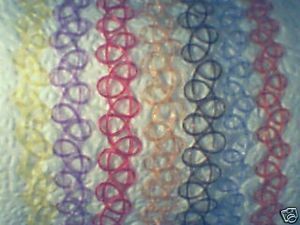 I practically lived with one either around my wrist or in my hair. I will never forget (aka I’m SCARRED!) by the high side ponytails accompanied by scrunchies that my mom perpetually adorned my head with. At the time, Lizzie McGuire was doing it to. So of course that made it ok! 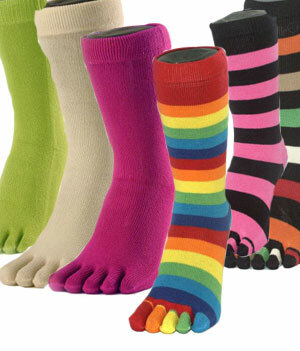 Toe socks were so totally cool! 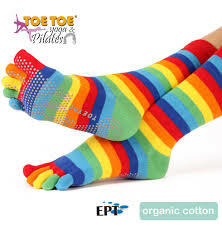 I had rainbow ones, fuzzy ones, green ones, froggy ones any combination you can imagine! I can remember wearing them with tennis shoes and, I will admit, even sandals (oh no!). 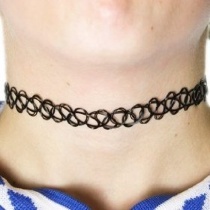 Anyone remember these chokers? I had a purple one that I was absolutely positive went with everything. 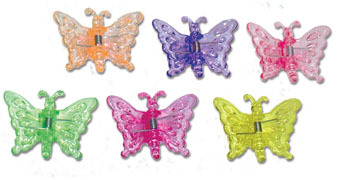 First you would divide your hair, right at the forehead area, into several sections, twist, then secure at the crown with these infamous butterfly clips. Oh yea. Totally styling. 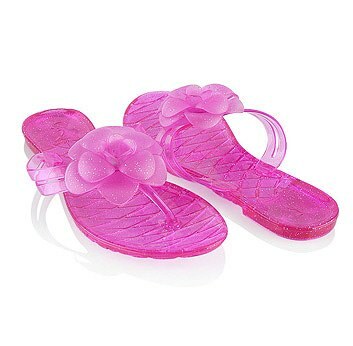 I loved jelly flip flops! I would wear them until they literally fell apart and then I would tape them back together and wear them more. I HATED throwing them away. They would get so dirty but that did not stop me from keeping and loving them. What were some bad trends that you rocked?